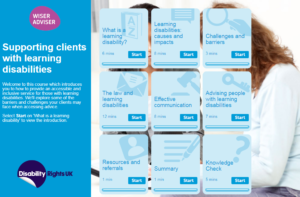 In this guest blog post, Jason Jaspal from Disability Rights UK discusses the challenges that people with learning disabilities can experience around managing their finances, and explains why they have been working with the Money Advice Trust on a new training course for advisers. Despite some of the difficulties of living independently, there has been a growing expectation that disabled people will do so. That includes people with learning disabilities, who make up around 1.5 million of the population in the UK. People with learning disabilities (sometimes described as learning difficulties) can experience challenges retaining and processing information, leading to difficulties with learning, and developing skills. Many people with mild to moderate learning disabilities can live independently with the right kind of support, including support to manage their finances and budgeting. Others may need significant levels of support if they have severe or profound learning disabilities, including having someone appointed who is responsible for handling their financial affairs. People with learning disabilities are more likely than other sections of the population to need help with managing their finances. They may struggle to get access to financial services, such as opening a bank account or changing a utility provider. They may find it hard to get advice because they don’t know how or where to look for help. They may have difficulties understanding the information that is available because it is too complex. And, without the right support, some people with learning disabilities may make poor spending choices because they are unclear of the implications of them. Someone with a learning disability is more likely to be surviving on a low income, either because they are in poorly paid or part time work, or are not working at all. Only around 6% of learning disabled working age adults are in employment. A recent report by the Equality and Human Rights Commission found that households with disabled people in were more likely to lose income as a result of changes to the tax and benefits system. We all know that changes to the benefits system are creating real challenges for disabled people. Disability benefits are being both cut and revamped, with the shift over from Disability Living Allowance (DLA) to Personal Independence Payment (PIP), and changes to Employment Support Allowance (ESA). The latter includes the latest announcement around the government’s plans to reimburse some claimants who were awarded the wrong rate of the benefit. Changes to the benefits system are causing stress and concern amongst many learning disabled people, as Charlotte Crowder explained in her blog for the Money Advice Trust last month. Learning disabled people are also more likely to experience ‘mate crime’, where they are ‘supported’ for the purpose of being exploited or abused, often for the financial benefit of the perpetrators. Perpetrators can include family members and paid carers. Money advisers have a role to play across a range of services and disciplines, both in terms of helping with money management but also signposting clients to places of support in the event they are discriminated against. Banks and other financial services providers, utility companies and debt collectors all have responsibilities under the 2010 Equality Act to make a ‘reasonable adjustment’ if someone is disabled. A priority register which ensures an essential service is not frozen or cut off without additional efforts being made to contact a customer. If service providers (including money advice workers!) don’t make reasonable changes to accommodate the needs of disabled customers, they are at risk of legal action. Advisers also need to be aware of the provisions of the Mental Capacity Act, which provides a framework for determining if someone has the ability to make informed decisions – crucial of course when it comes to managing financial matters. What should money advisers do? Find out their information needs. What’s the best way to provide information to them? If you are registered on Wiseradviser, complete the e-learning and face-to-face course. As a cohort, people with learning disabilities are often a forgotten group compared to other groups of disabled people. They struggle to access the support and services they need, partly because they may need support to have their voices heard. We’d like that to change.  That’s why we were glad to have the opportunity to be part of this really important project, which will help money advice workers to provide support to a group that really needs it. The new Wiseradviser course, Supporting clients with learning disabilities, will cover approaches for advising and supporting clients with learning disabilities, dealing with challenging behaviours and the key provisions in the Equality Act 2010. Log in to find out more about the face-to-face course and online pre-learning at www.wiseradviser.org. Previous Could the FCA have a role in the regulation of enforcement agencies?